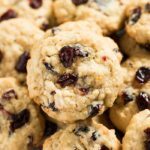 Cranberry Orange Oatmeal Cookies – These oatmeal cookies are thick and chewy, and soft in the middle! 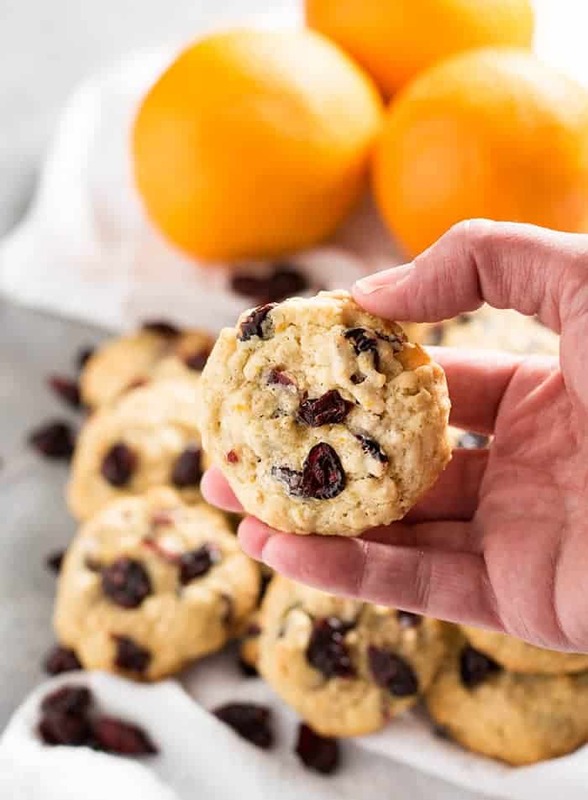 Packed full of dried cranberries and plenty of orange zest, these cookies are a fall and holiday favorite! You guys, Friday things that I’m excited about – Cranberry Orange Oatmeal Cookies! Seriously, it’s finally cool enough outside to do some baking! I mean, I’m pretty much willing to bake year round. But, I feel like most rational people aren’t super cool with heating up their oven in the middle of summer. Anyway, I really wanted the first cooler weather baking recipe that I put up to really scream Fall, in all the right ways. These cookies with cranberry, a heap of orange zest, cinnamon, brown sugar. Yeah, they get the job done. Let’s talk about how these cookies came to be born! My beautiful, talented, friend by the name of Jen special requested them! What kind of friend would I be to deny her the best darn cranberry orange oatmeal cookies EVER? Actually, she requested this recipe a while ago, so they’ve been in the works for months! I fiddled around with these oatmeal cookies until they were absolutely perfect. We all know there are certain criteria that make up the perfect oatmeal cookie, regardless of what kind of dried fruit, flavoring or candy you decide to throw in there! Here are the things that I look for in a really good oatmeal cookie. They need to be THICK. I want a hearty oatmeal cookie. Not a flat crunchy one, no thank you. I need them just ever so slightly crisp around the edges, but super soft in the center. Lastly, they need to be chewy enough that they don’t just fall apart or snap right in half! These cookies meet all three of those expectations. Thick, soft, perfectly chewy. They’re also an amazing balance of sweet and slightly tart with the addition of orange zest! 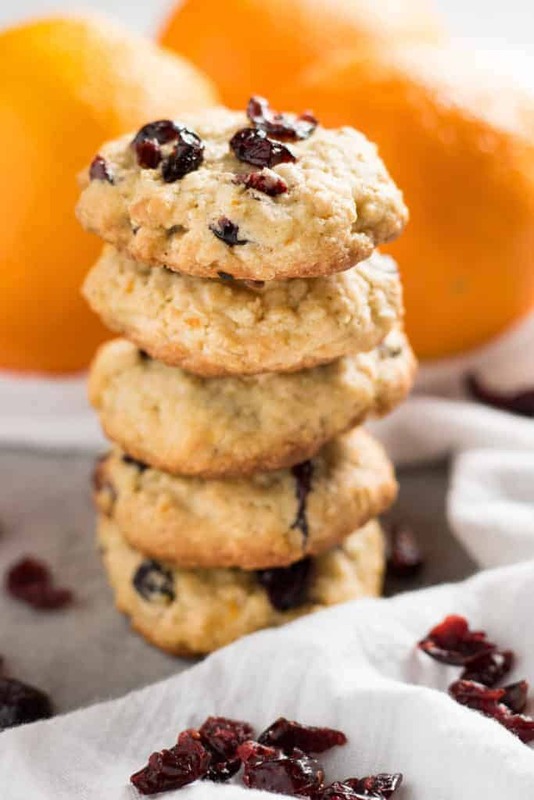 Our Cranberry Orange Oatmeal Cookies are really easy to make. Just make sure you plan ahead because the dough does need to be chilled for at least 45 minutes before baking. Trust me, these are worth the 45 minute wait time. Cranberry Orange Oatmeal Cookies - These oatmeal cookies are thick and chewy, and soft in the middle! 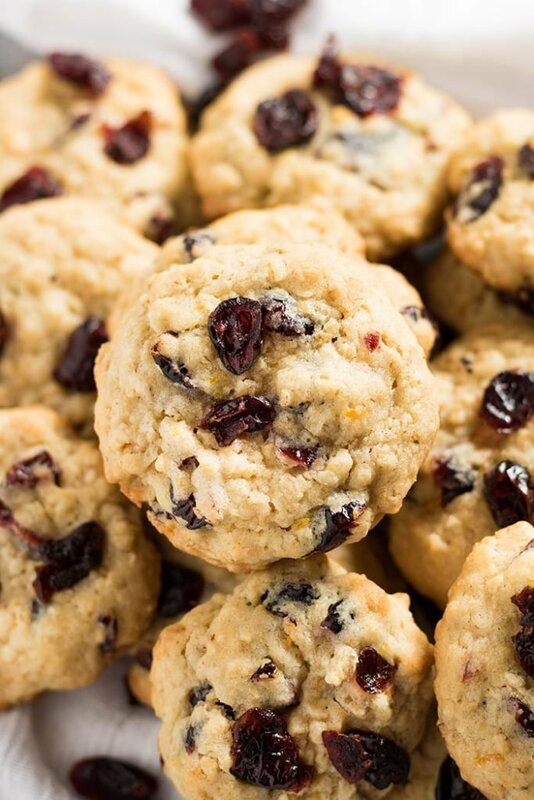 Packed full of dried cranberries and plenty of orange zest, these cookies are a fall and holiday favorite! 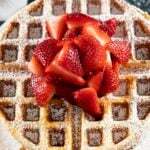 In a large bowl using a hand mixer, or bowl of stand mixer cream together the butter and both sugars until light and fluffy. Beat in the eggs and vanilla until well combined. 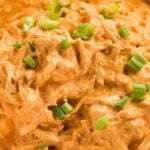 In a second large bowl whisk together the flour, baking powder, cinnamon, salt, baking soda, and oats. 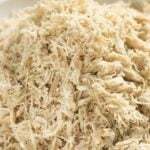 Add the dry ingredients to the wet ingredients in two batches while mixing on low speed. Beat just until combined. Fold in the orange zest and dried cranberries. Chill dough for at least 45 minutes, and up to 3 days. 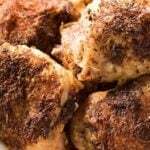 After chilling, preheat the oven to 375 degrees. 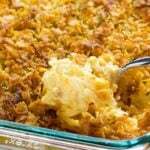 Prepare two large baking sheets with non-stick spray or parchment paper. Drop dough by Tablespoon fulls onto prepared pans, two inches apart. Slightly flatten each ball of dough with the palm of your hand. Bake in preheated oven for 10-12 minutes, until cookies are slightly golden brown around the edges. NOTE: These cookies need to chill for at least 45 minutes. NOTE: These cookies have a very thick dough and not much "give" you will want to flatten the dough slightly with your palm before baking. NOTE: This dough can be kept chilled in the refrigerator for up to 3 days. If you chill the dough for more than 45 minutes, allow it to come to room temperature for 30 minutes before baking. Cranberry Orange Oatmeal Cookies! Super soft and chewy oatmeal cookies that are thick and delicious. This oatmeal cookie recipe is perfect for fall and winter baking with cinnamon, orange, and cranberry. 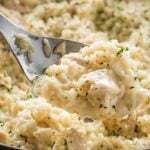 Super easy to make! These cookies are dangerously delicious! I baked them for 10 minutes and they turned out exactly as advertised – thick with a crunchy edge and a soft center. I will be baking these again for Christmas! 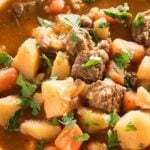 These are wonderful, full of flavor and texture. I chose this recipe (among the billions on the internet) to use 2 cups of chopped fresh cranberries, since I didn’t have any dried. I also tossed in about 1/2 cup mini chocolate chips. Hubby the Cookie Monster loved them. Next time I’ll add an orange drizzle on top just for a little flair. Otherwise they are delicious alone. Thank you for sharing! Hi, Nichole. I’ve been making cookies for many years and was a baker (where I made mostly cookies) at a restaurant for a couple of years. So, I know a great cookie recipe when I see one!! 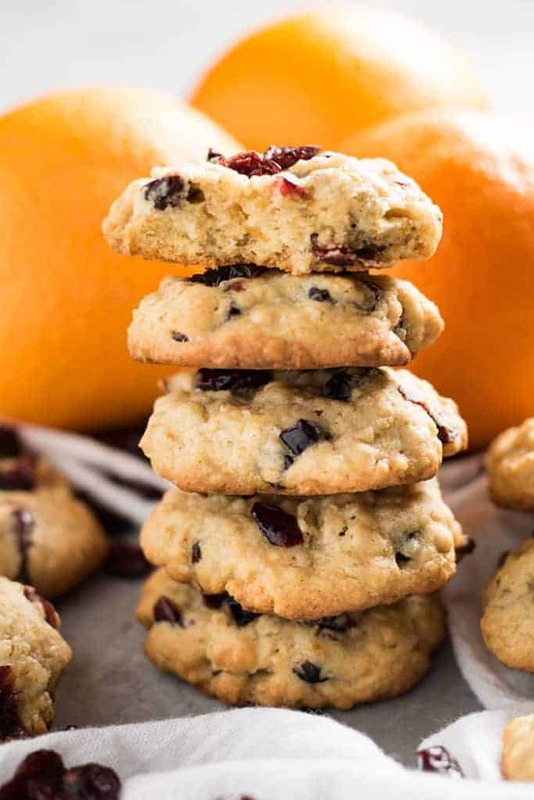 And, your cranberry orange oatmeal cookies sound spot on and look absolutely delish! I also like big, fluffy, perfectly chewy cookies. These are also ideal for me, the taste also take into account and these seem to be perfect also in this question. Cannot wait to try this recipe. All my favs. I just lost 202 #s. Oh well i will do portion control. Lol, NOT!!! !